I’ve been off work ill for the start of the week - but during that time, I got a phone call I had been eagerly awaiting. Evans rang me up on Tuesday lunchtime to tell me that my Brompton had arrived into store and that I could go and pick it up. Unfortunately, I had to wait until Thursday to go and collect it because I was still ill and didn’t want to sit in the office spreading it around. Now, I’ve heard and experienced mixed reactions to Evans. I can’t fault their on-line ordering with delivery and pick-up in store. The refund policy is reasonable and I’ve not had an issue when I had to return a pair of trousers. The issues I have had were with the lack of communication for the Brompton order (which may be Brompton itself) but I had originally been told that the order would take e 4-6 weeks. This was week 8 where it arrived (so still under the 12 weeks that Brompton quote for a custom order). And then the service in store that day on collect wasn’t fantastic. I was waiting around for a goo 10-20 minutes whilst they tried to locate the bike. Once they’d done that, they then almost wouldn’t give me the S bag I’d ordered along with it, because it had all been put through on one bill and the receipt wasn’t itemised (something I would have liked to have seen on ordering, just so that I could ensure that the Brompton was as I’d ordered!). 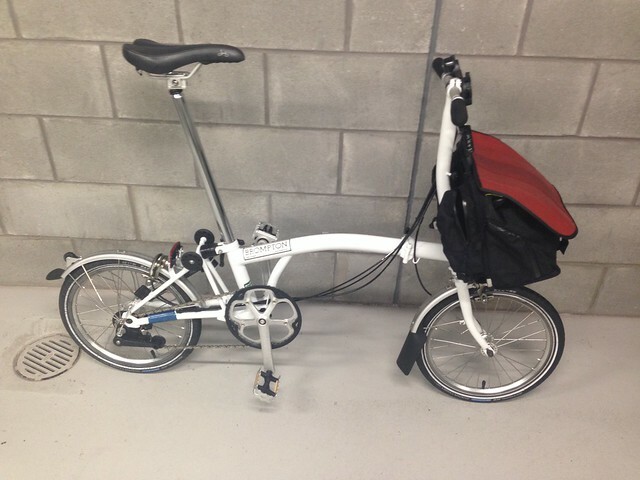 Anyhow, I finally managed to get it away from the store and cycled it back to the office. I instantly hit a few snags. Anyhow, in the end, not getting the flap didn’t matter to much as I ended up getting my own from Brompton Junction the same night I went to see if the seat post could be extended. I’d fallen in love with the fire hose one, which I thought was somewhat apt considering my job (fire engineer). With the fitting of the flap and the extended seat post, I feel that the bike is complete. Perhaps the engineer within is trying to figure out exactly what can be adjusted and changed to get the best riding style and position, I feel that the bikes in a state where I’m happy to ride it. I think the roots of this come from the fact that all my bikes tend to be named after different Gods and mythic figures. It started with the purchase of my mountain bike which was a Carrera Vulcan and so the name Vulcan stuck. 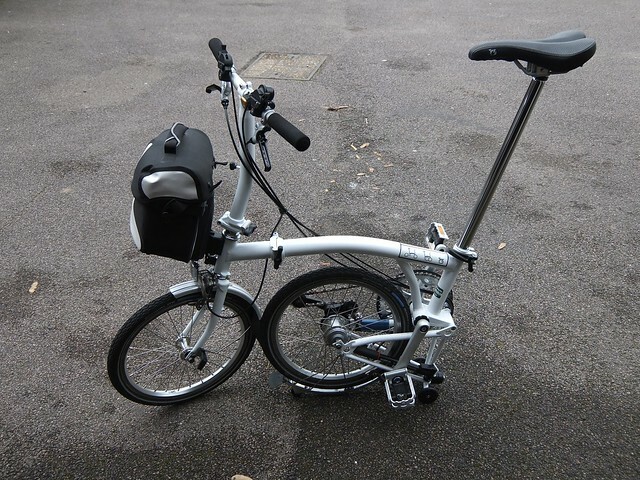 Loki seemed an apt name for the Brompton - mischievous as I intended to take it anywhere, a trickster as people will always underestimate the Brompton (questions when I mention I’d cycled with the Brompton Club to Gatwick were such as - on those? Really?) and lastly, a point I hadn’t realised until I Googled a bit more - Loki is a shape shifter. What better God to represent the folding bike than a shape shifter! I managed to get out today (Sunday) to test the bike - whilst I might not be 100% still, I couldn’t just sit at home anymore and not ride the bike! I ended up going for a brief hour long ride around the local area. It took some getting used to for some of the roads around here, as the wheels are obviously smaller than the 26” wheels I normally use and this can make the steering more responsive (others would say twitchy). Led to some interesting descending before I was probably used to it. One of the biggest things I’ve found over the past few rides is how much I like the hub gears. Whilst the Brompton has a wide range hub, the additional 3 gears are provided by the derailleur. I’m beginning to think that I might investigate if I can change the touring bike to a hub gear - obviously it means some changes to the wheel etc but I think the change would be worth it. Beginning able to change when stationary is good and it removes the derailleur from any damage. Evans have some in but the Rohloff ones seem expensive (£900!) which isn’t worth it! It was a good ride, though I did notice at one point, the seat had seemed to have dropped. 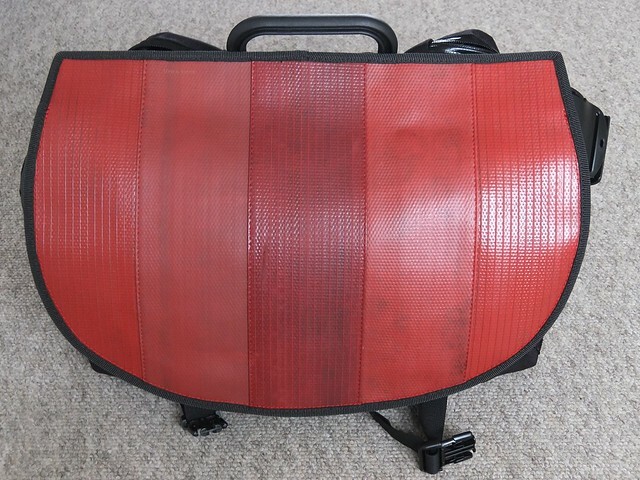 Not sure if this was the case but I’ll be keeping an eye on it for the future longer rides - probably fine for the commutes but could get annoying for longer rides. 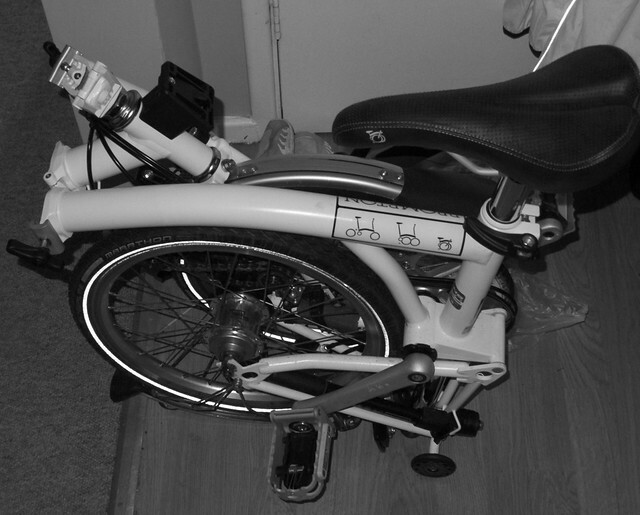 It also seemed to rotate left and right at times - I’ve tightened up the bolt holding it to the seat post. However, it could be a sign that the quick release is loose so I’ll keep my eye on it. Either way, was a good ride. Managed to draw a few look when riding - I guess that was either from my attire or from the bike, I can’t say for sure! Either way was a good first ride and I look forward to joining the London Brompton Club for some more rides.